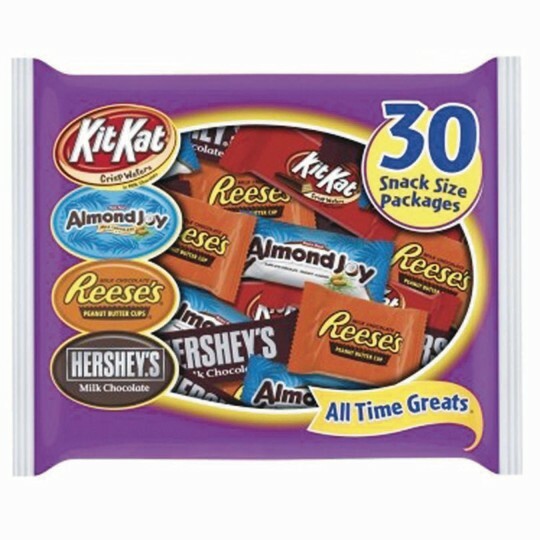 The perfect snack size bites of your favorite Hershey's® candy bars! Your favorite Hershey's snack size candy bars like Almond Joy, Hershey's Milk Chocolate, Kit Kat and Reese's Peanut Butter Cups. Assortment may vary.